App schematic design illustrating the key & code-controlled areas of the app. 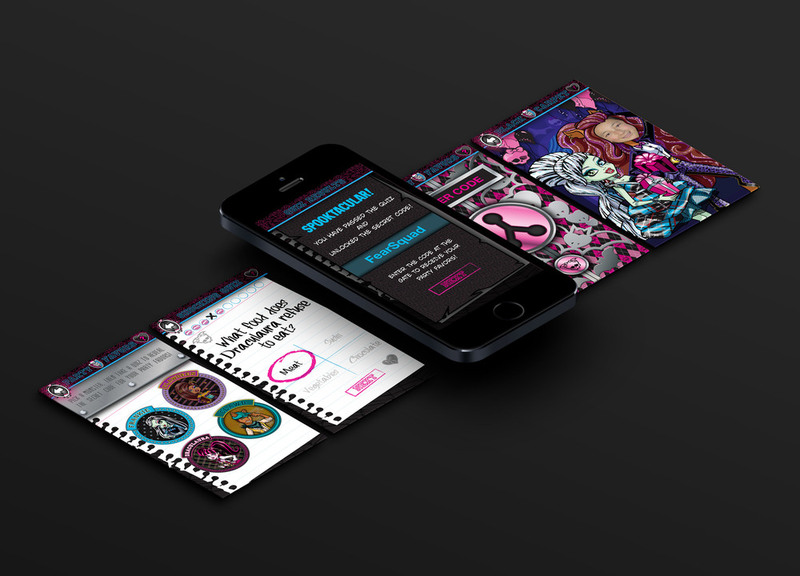 Mattel invited us to conceive a mobile experience for their popular Monster High brand using their ingenious Monster Key with Smart Plastic™ technology. Our solution presented a Sweet 1600 party for Draculaura where only guests with the unique keys could join in on the fun. Secret codes and puzzles created an experience that captured the spirit(s) of the Monster High brand.